The 2019 Thornton’s Fun Show was held on Sunday, June 2, 2019, at the Manchester Dealership location at 180 South Main Street, Manchester, Pa 17345. 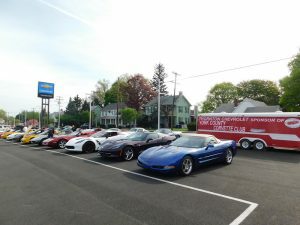 The day will be filled with food & drinks, a silent auction, awards and lots of Corvettes! Thornton Chevy has been our sponsor for several years and we thank Bill Thornton and Thornton’s Chevrolet for sponsoring YCCC and hosting this show each year! We are proud to have our Thornton’s Show as our kick off show!!! Please take time to visit Thornton’s Chevrolet Webpage!